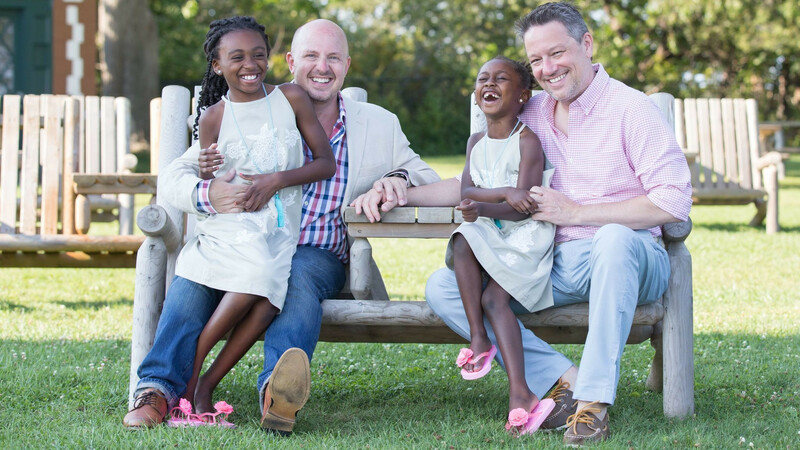 Gay dads also aren't restricted by gender roles, according to a new study. ‘What’s really interesting is that they don’t conform to roles of conventional fathers. They were able to redefine and propose new models of cultural notions of paternity and masculinity.‘They could be playmates, caregivers, protectors, role models, morality guides,’ he said. The study found men with higher revenue were less invested in family life. It also found men with ‘culturally defined feminine traits’ were more involved in childcare. Around a quarter of respondents also reported experiencing stigma in the past year from family members, neighbors, gay friends and/or service providers such as waiters, service providers, and salespeople. According to the authors of the study: ‘Ongoing health supervision should include discussions about stigma and help families learn strategies to counteract its corrosive effects.’ Another recent study found gay dads make better parents than straight dads.